While we take excellent care of sick patients, we do less well for healthy patients with routine pregnancies – largely in the form of turning to medical interventions more than strictly necessary. As the (NICE) guidelines suggest, some women in the U.K. (and the US as well) with low-risk pregnancies may be better off staying out of the hospital. Why? Because the significant risks of over-intervention in hospitals, such as unnecessary C-sections, may be far more likely (and therefore more dangerous) for patients than the risks of under-intervention at home or in birth centers. Nearly half of the cesareans we do in the U.S. currently appear to be unnecessary, and come at a cost of 20,000 avoidable surgical complications and US$5 billion of budget-busting spending in the US annually. Women are very capable of delivering their babies. Birth is safe outside of the environment of the hospital. Midwives can be trusted to deliver babies. My approach to birth is very different than that of my obstetrical colleagues. My approach is optimistic, proactive and frankly, successful. Recently, I have been accused of being foolish to believe that every woman should have a vaginal birth. This is said either with derision or with a smile. Either way these statements fall short of recognizing the respect due to an experienced midwife-I am an expert in normal birth. While I do understand that cesarean sections are sometimes necessary, my midwife approach certainly results in far fewer operative births. I believe this is largely due to my unrelenting pursuit of a vaginal birth for all women. 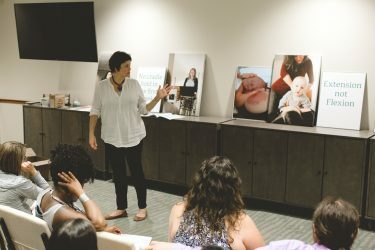 I study nutrition, methods of childbirth preparation, provide my clients with chiropractic care and then review every birth with my fellow midwives to see what worked and what didn’t. When we end up in the operating room, I am hopeful that my client believes that she had every opportunity for a vaginal birth because she did. Her choice of midwifery care deservedly gave her the best possible opportunity for a vaginal birth.